As a business owner you’re always doing something and need to make the most of your available time. Between managing personnel, crafting a new marketing plan, or reviewing last quarter’s sales, your time is a hot commodity. But if you had the correct metrics at your fingertips you could make the most informed decisions and be as efficient as possible. Metrics should guide every decision you make for your business and ultimately make the process easier. Below are 5 metrics that your business should be tracking. Cost of Acquisition – This metric shows if your marketing and advertising investments are paying off as you expect. Marketing costs can add up (especially if you are using the wrong channels). Extraneous marketing can be the quickest way to destroy your profit margins. 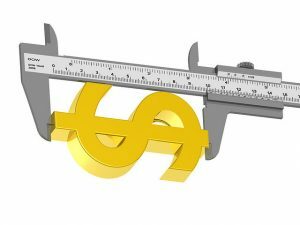 The best way to make sure your profit is as high as possible is to track the cost per acquisition, and ensure your marketing dollars are being spent in the correct places. To determine the cost per acquisition add your marketing and advertising expenses for a specific date range. Divide that number by the total number of customers you have acquired during the same date range. This calculation will give you the average amount you spend to acquire a new customer. If you ask your new customers “How did you find my business” you can even do this calculation at a more granular level. If the number is higher then what you will receive from a new customer you have a problem and should reevaluate how you spend your marketing and advertising dollars. Lifetime Value – If you run a business where customers come back and make repeat purchases, or you have a membership based business, it is very important to understand the average lifetime of a customer. This piece of data can help you make an informed decision on how much to spend when acquiring a new customer. By knowing that most customers work with you for 1-year or 5-years or that 50% of your customers subscribe to your middle-tier program, you will know more about when to ask for an upgrade, or what the signs of a good customer are. This value should be compared to the cost of acquisition to make sure you are not spending too much when acquiring customers. New vs. Returning Customers – Once you have a handle on how much it costs to acquire a customer as well as the lifetime value, a third metric that will tie together that information is around your proportion of new vs. returning customers. In order to continue to grow your customer base — or replace those customers who move on — you’ll want to track the number of new sign-ups you get monthly. With insight into the ratio of new vs. returning customer, you’ll know more about how well you retain customers and how successful your programs are in bringing in new customers. Costs (Overhead and Variable) – Overhead costs are fixed costs that are not dependent on the level of goods or services your business is producing. Overhead cost include salaries, rent, advertising and insurance. In any growing business these can creep up and get out of control if not tracked carefully. By tracking them on a monthly basis, you will be able to see where spending occurs in your business. Use this information when updating your business plan or when preparing yearly budgets. Because overhead costs are not influenced by how much your business earns or grows, you need to monitor them frequently to see when you might need to look for an alternative, or expand or contract. Variable costs change in proportion to the activity of your business. Variable cost includes materials, utilities, cost of labor and other expenses directly connected to producing and selling your products. It is important it keep a close eye on this number because as your company grows you want to make sure your variable costs stay proportional or reduce. If they don’t, you should look for volume discounts. Profit or Loss – Profit is not just the difference between the cost of a product or the service and the price being charged. The calculation must also include operational costs, both overhead cost and variable cost as discussed above. One of the most important objectives of a business is to become profitable, and this number shows if your business is on the correct path to reaching that objective. Leveraging this data is important because it can provide insights into the growth of your business and also uncover new opportunities that will help your business reach its full potential. As a small business owner should monitor these constantly to make sure your business is always moving in the right direction. To learn more about key performance metrics and other financial tips, check out the Ultimate Guide to Small Business Financial Management.